When you arrive, go straight for the squat menu that you might see lying on the tables outside. If they realize that you’re American they’ll give you the “taller” multi lingual menu that seemed to have less options than the regular menu and also doesn’t clue you in that the cover itself is 1€ and cover plus bread is 2€ euros. If you’re looking to save a little, feel free to send back the bread--though if you’re ordering pasta, the sauces we tried here were delicious and you might regret not having something crusty to sop up the extra goodies. 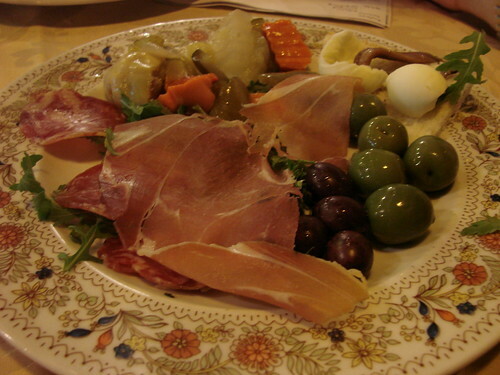 Our first night at Bellini we started with the antipasto which came with a slice of proscuitto, a few pieces of salami, an anchovy on toast, an assortment of green and black olives, and some mixed marinated vegetables. A pleasant way to start your meal but for 7€ this was totally skippable. The pastas on the other hand were delicious. The first night we tried the gnocchi alla sorrentina (with tomato, mozzarella and basil). The gnocchi was light and chewy and there was no need to add parmesan, the dish came with plenty of mozzarella. Filling and satisfying for 6€. 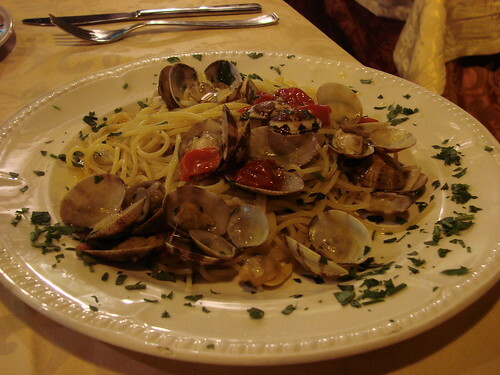 The spaghetti alle vongole, (with a fresh clam sauce) was good and garlicky and around average priced at 10€, but if you’re going to do a seafood pasta here, spring for their linguine al cartoccio (12€) a mixed seafood pasta in paper. Lawman and I ordered this our last night in Naples and due to a miscommunication with the waiter, received a double order. The presentation was fun, the old school Italian waiter brings out a try with a big sealed “bag” made of parchment paper and opens it tableside to serve up two heaping plates of linguine with all sorts of assorted seafood--crawfish, squid, octopus, shrimp, and clams. We specifically asked for it without mussels but those are probably included in a standard order as they had mussels or cozze all over their menu. If you’re a little squeamish about octopus suckers and shell on seafood, this is not for you, but seriously, you’re missing out. If I find my way back to Bellini someday, I’m going straight for this dish. 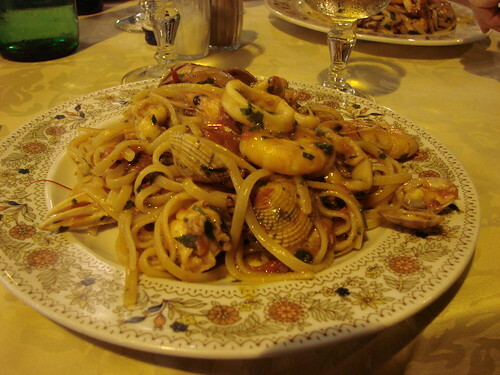 I love all seafood pastas! Now I wish I was in Naples too! 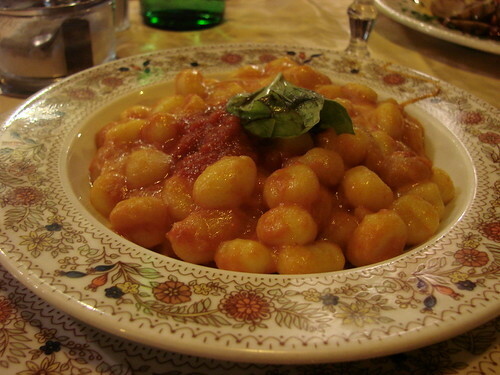 Yummy yummy, I want to be in Naples right now! Those photos look amazing. I'll have to plan a trip to Italy sometimes because their cuisine is one of the best in the world and I can never get enough of it. But if you ever visit Toronto, make sure you pay a visit to The Quince Restaurant. It's quite amazing also. But I guess nothing compared to the real Italian food. I get very tired of the little wannabe Italian restaurants in Canada. Anyways, thanks for the review! It is very nice blog.It is very special food slice of proscuitto, a few pieces of salami, an anchovy on toast, an assortment of green and black olives, and some mixed marinated vegetables.The pastas on the other hand were delicious.The gnocchi was light and chewy and there was no need to add parmesan, the dish came with plenty of mozzarella.